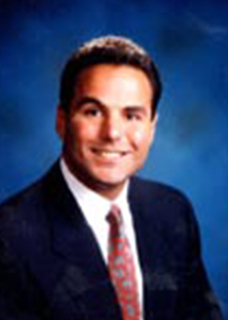 Alexander C. Perlos II is a life long resident of Jackson, Michigan. In Alex’s 30 plus years in selling real estate he’s gathered vast knowledge in residential, commercial, industrial and vacant land. Not only has he sold these type of real estate for his clients, Alex has developed and invested in these type of properties on his own. Alex gives an honest and proper perspective of the real estate market and understanding of Jackson County. He is always happy to assist old clients, handle new client referrals and make new long lasting real estate relationships. Alex is adept at finding solid real estate investments for his clients. Alex graduated from Parkside High School and maintains strong ties to many of his childhood friends. If a person comes from Jackson, chances are Alex knows that person and/or knows a person who does. Alex graduated from Western Michigan University with a major in public administration and minor in law. His prestigious real estate career started at McConkey Real Estate, Jackson’s premier brokerage firm at the time. Bill McConkey introduced Alex to many business associates and taught Alex the in and outs of doing commercial/industrial real estate deals. It was a honor for Alex when Bill McConkey asked him to sell his building when he was ready to retire. Alex can get the deal done! He knows how to negotiate and has closed countless real estate deals. Alex is a true professional and is known for always calling people back. His love for vacant land has spilled over to his professional career as he has successfully sold thousands of acres in Jackson County alone and as an avid hunter knows good hunting ground. Alex is ready to help you today.